Around the corner from Oakwood Mall. 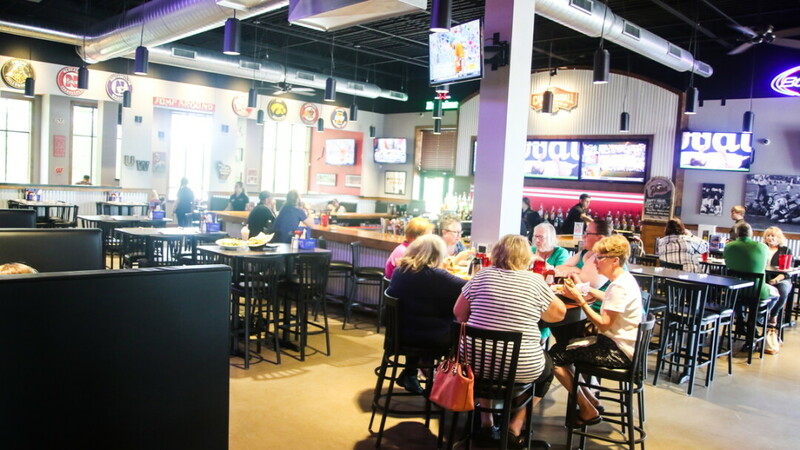 Monk’s is both a family restaurant and a sports bar and grill. In addition to a full menu, the bar features tap and bottled beer as well as specialty drinks such as the Monkerita and the Purple Monkey (whose recipe is a closely guarded secret). There is seating for 250 patrons and 20 TVs, so you’ll always have a place to watch the big game. Happy hour from Monday-Friday 3-6pm. The 5th restaurant in the state-wide chain based in downtown Wisconsin Dells. 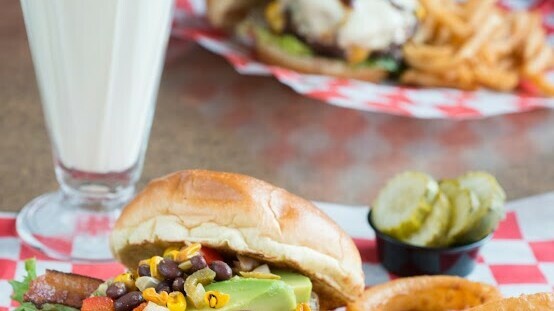 Famous for their craft burgers or "Monkburgers" that are available with a wide array of toppings, appetizers, sandwiches, wraps, salads, and comfort food classics like pot roasts and mac & cheese. Each burger can be made with a turkey patty, or vegetarian plant-based or black bean patties. The restaurant offers a beautiful lakeside view, and plenty of wide-screen TVs make it a great place to watch the game. Fish fry on Friday, and prime rib and surf & turf on Saturdays. Trivia night from 7-9pm on Thursdays, and happy hour weekdays 3-6pm.